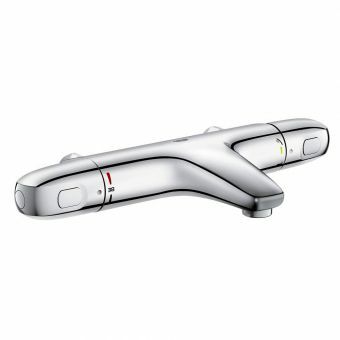 The Grohe 1000 New Exposed Shower is one of our best selling shower units, with an easy installation and user-friendly interface. 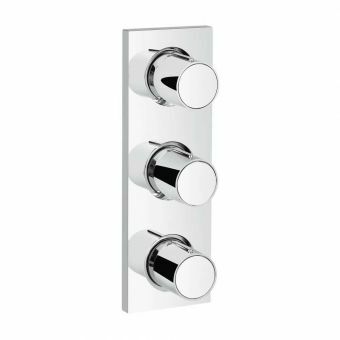 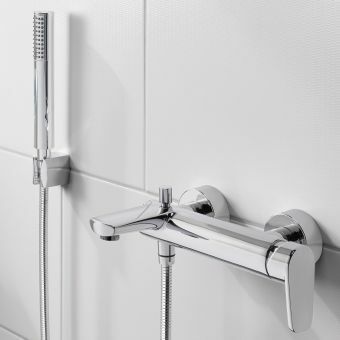 Exposed valves give full control over the water flow and heat, allowing for a perfectly balanced shower within seconds. 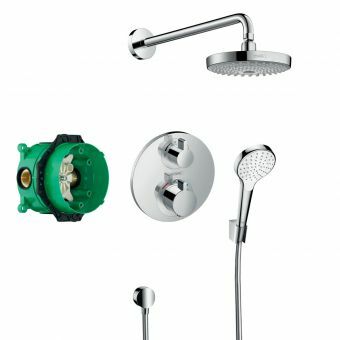 Featuring a pre-set temperature and a temperature over-ride switch to prevent scalding, this shower kit provides a safe showering environment. 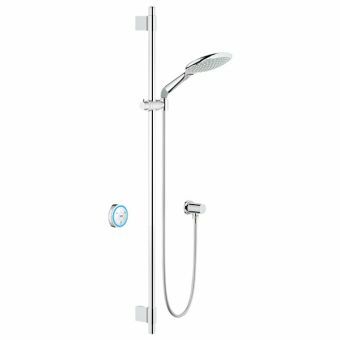 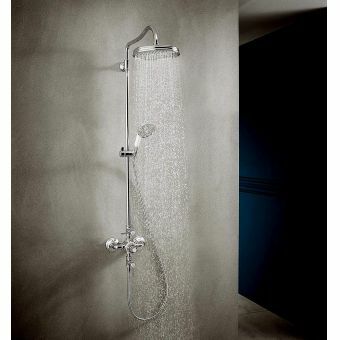 Supplied with an adjustable riser bar and generous shower flex, this set can accommodate a user of almost any height. 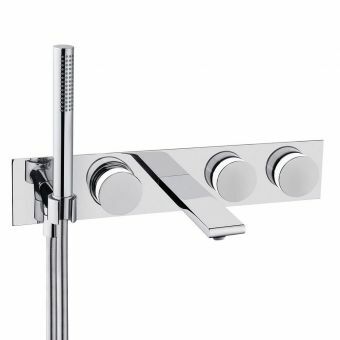 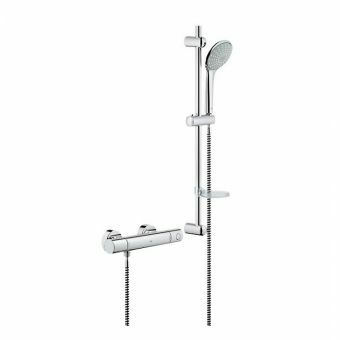 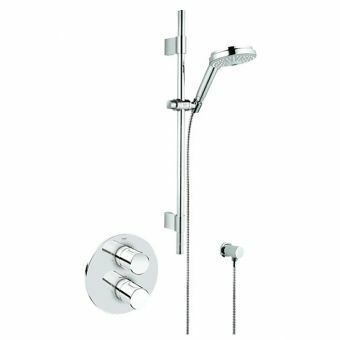 A wipe-clean chrome finish and SpeedClean feature ensures that this shower set is easy to clean and maintain. 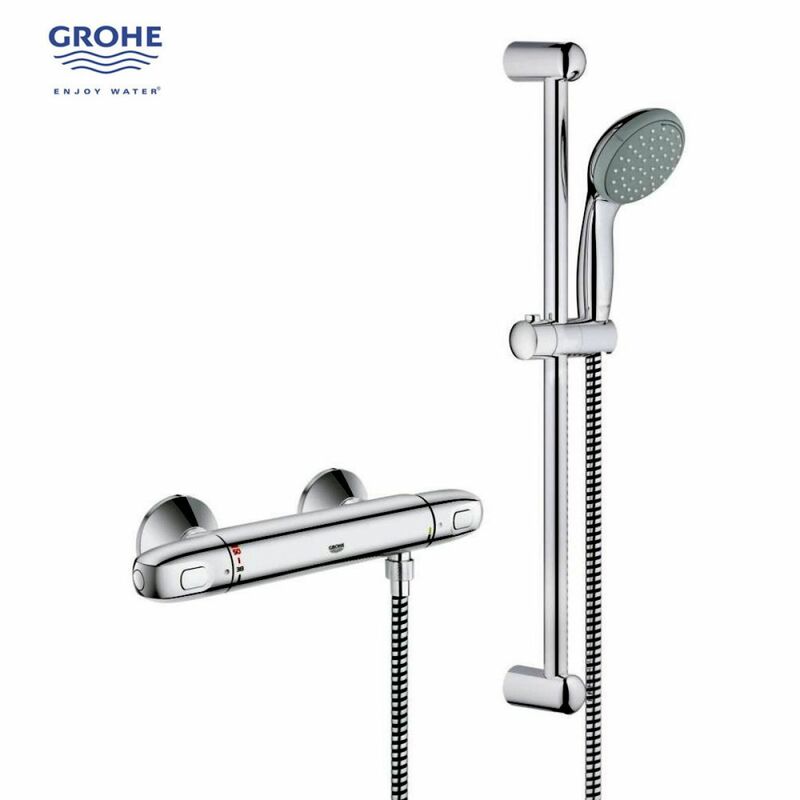 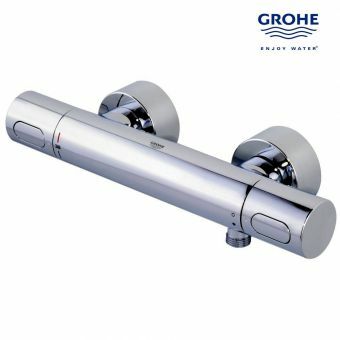 Supplied with a five year guarantee from the manufacturer, this set from Grohe has the durability to endure everyday use with ease. 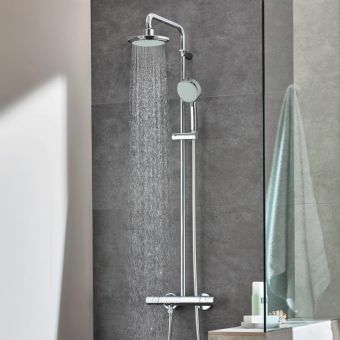 Please note that this shower has a minimum operating pressure of 1 bar. 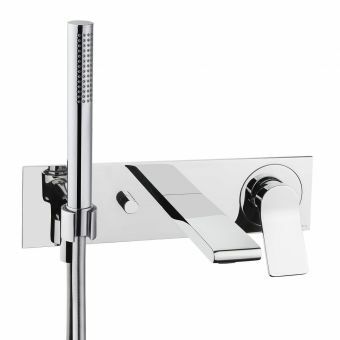 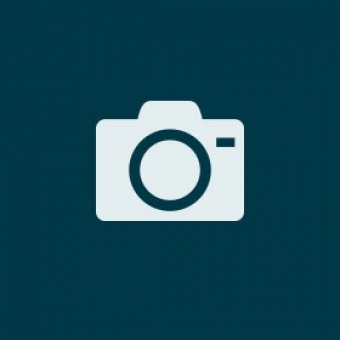 Quality product at a very competitive price. 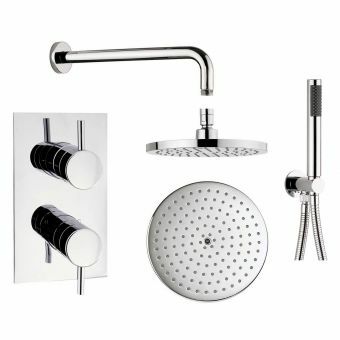 ukbathrooms kept me informed with the progress of my order and delivered on time.